Kihei Bay Surf is located in North Kihei across the street from the Whale Sanctuary, Kalepolepo Beach, and an ancient Hawaiian fishpond.Kihei Bay Surf has a large pool, hot tub, tennis court, gas grills, and a coin-operated common laundry area. Whale watch, windsurf, walk the beach, and enjoy the most amazing sunsets imaginable. The Kihei Bay Surf is centrally located to shops and restaurants, and is just minutes from the championship golf courses of Wailea and Makena. This is one of the best values in Kihei. 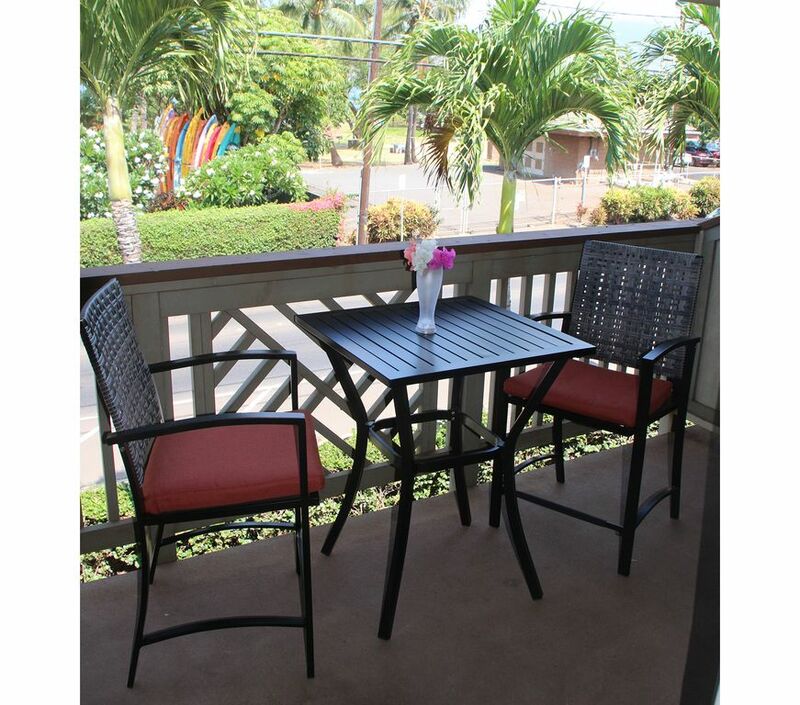 Unit #253 at the Kihei Bay Surf is an upstairs studio that can sleep 2. It has a fully equipped kitchen, and a separate full bathroom. It also has Cable TV/DVD player, room unit air conditioning in the living room and ceiling fans as well. Coin-operated laundry room on-site. Really enjoyed my stay there! Perfect for one person or a couple. Very clean. Nice, clean, comfortable. All the conveniences needed. The condo had everything we needed for our stay in Maui. Further away from the shops in Kihei, but much quieter which we enjoyed. There was a great beach across the street with minimal people (the condo had all beach supplies which was perfect). Finish off the day with a soak in the hot-tub or pool. We would stay again. Perfect studio located near the beach, perfect for our vacation. Easy to access, had pool and hot tub, great location, clean and comfortable. Met very nice people either staying or loving in other units. Drawbacks were minor - we had to do all dishes by hand as all soap for laundry and dishwasher located in bin for laundry. Had to put everything away for pest treatment. Both not deal breakers. We would absolutely stay here again!! Directions sent previously were great help in location and check in procedure. Great location, quiet area, other people there very nice to chat with, easy to find everything. Unit itself was clean, comfortable for our stay. Biggest issue was that all soap for laundry and dishwasher in the bin marked laundry. We did all the dishes by hand - totally not a big deal. Condo was very nice, well equipped with cooking utensils and appliances. Very nicely furnished, had a great stay. The final balance and security deposit, if any, will be automatically charged to your credit card 60 days prior to arrival.